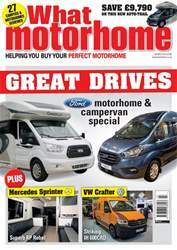 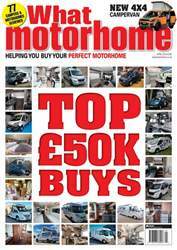 The March 2014 issue of Which Motorhome magazine is out now, packed with tests and information to help you choose the perfect motorhome or campervan. 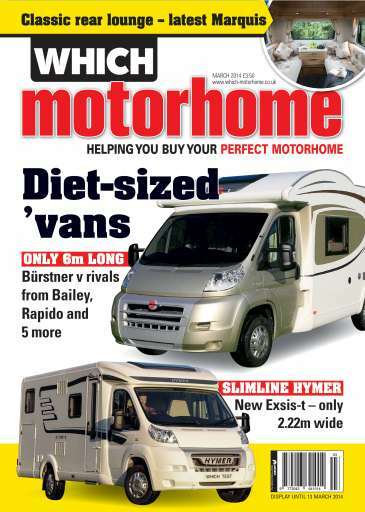 Six-metre showdown – a massive 20-page test of six-metre drop-down bed low-profile motorhomes. 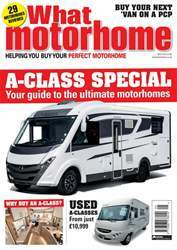 See how the latest models from Adria, Bailey, Bürstner, Chausson, Pilote and Roller Team compare in this exclusive test. 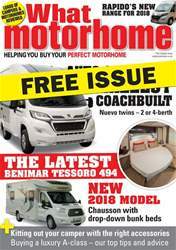 Which Motorhome also tests the winner of the Fixed Single Bed Motorhome of the Year, the Hymer Exsis-t588 which boasts a great payload and is superb to drive. 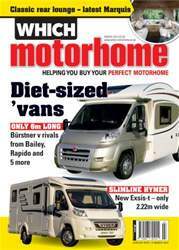 Plus tests on Adria’s new Compact SPX and a luxury Le Voyageur A-class.